When it comes to high-pressure sporting situations, few sportsmen have the spotlight on them quite like in darts. With a boisterous crowd behind you and the smallest of margins between success and failure, it’s unsurprising that the bright lights can sometimes get the better of players. Below, we’ll look through three of the sport’s biggest rivalries and take a look at the times their competitiveness almost spilt over. Some pushing and shoving ensued with the pair exchanging words as they left the stage, with Taylor visibly rattled. One of the longest-running rivalries in darts was undoubtedly held between Phil ‘The Power’ Taylor and Raymond van Barneveld – as is often the case between leading lights and competitors in a sport. Following a semi-final match between the pair at the 2012 World Championship, though, the rivalry threatened to spill over. The Power had won the match 6-4, but took ironically took grievance with what he felt was a very strong handshake from the big Dutchman afterwards. Some pushing and shoving ensued with the pair exchanging words as they left the stage, with Taylor visibly rattled by Barney. The pair kissed and made up via text message after the contest, but Taylor against van Barneveld remained a tense battle whenever the pair met until The Power’s retirement at the start of 2018. Showmanship to the crowd can often get opponent’s backs up in darts, and there’s no greater showman in the sport than the colourful Peter ‘Snakebite’ Wright. 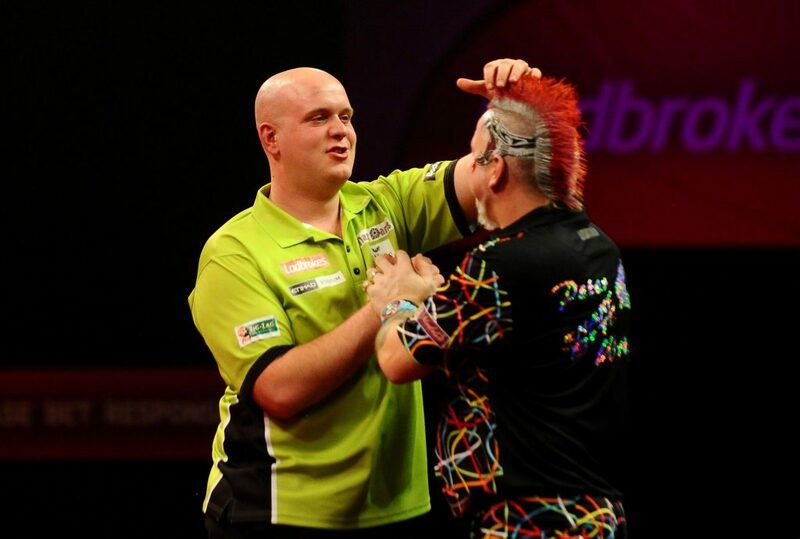 Wright and van Gerwen had a very public falling out in 2015 Premier League Darts, as the Belgian player took displeasure to Snakebite’s attempts to rally the crowd mid-match ahead of an important shot on the bull. Wright missed the shot and went on to lose the match, and while there was no obvious confrontation, it was very clear throughout the match that the pair were not keen on each other, with multiple shady looks and comments flying around. The match ended with a very feeble and delayed handshake before Wright left the stage visibly irked. While we’ve never actually seen players come to blows at the top level of darts, Adrian Lewis and Peter Manley came as close as you can get in a quarter-final match at the 2006 World Championship. 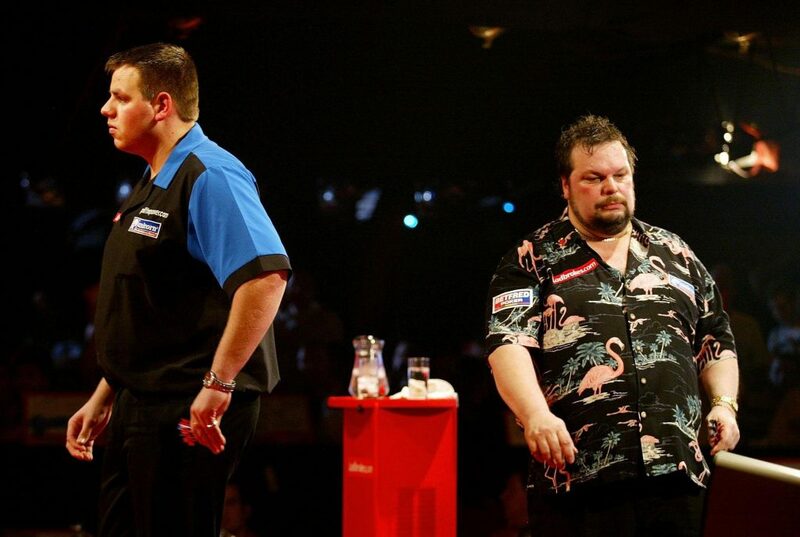 Peter Manley is notorious for his abrasive gamesmanship and really riled Lewis up by trying to slow down the tempo of the match when collecting his darts. Lewis then claimed Manley swore as he was about to throw a shot, which he reported to the match official. But trailing 3-1 at the time, the 20-year-old Lewis was so irate that he needed to leave the stage in order to cool off.